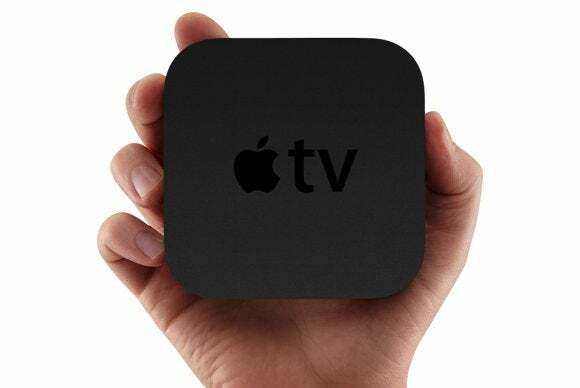 After reading your first look at the Apple TV 6.0 software I was anxious to upgrade. Unfortunately something went wrong and my Apple TV became unresponsive. I’ve since unplugged it, plugged it back in, and now I see an iTunes icon on my TV screen. What should I do? You’re not alone. Several people reported that updating via the Apple TV’s over-the-air mechanism caused similar unanticipated results. Apple pulled the update for awhile because of this problem but reissued it a couple of days later in a working condition. But for you, that ship has sailed. So, let’s see what we can do to put things right. The pictogram you see on your TV screen is telling you that you have to restore the Apple TV through iTunes. You may need to do this because the update simply didn’t take or because you lost patience during the update process and pulled the plug precipitously. I mention the latter because this particular update took longer than any Apple TV update I recall in recent years. While I successfully updated two Apple TVs, the process took about 40 minutes for each one and I can understand how someone might believe that something had gone wrong and pulled the plug, thus rendering the device inoperable. Either way, you’re currently sitting on a useless Apple TV. Fortunately, it’s not difficult to put things right (though it may require a trip to Ye Olde Cable Shoppe). Connect the Apple TV to your computer via the micro USB port. In order to perform the update you’ll need a USB-to-micro-USB cable. This is the very tiny USB connector found on Kindle e-readers versus the larger trapezoidal connector used by many digital cameras. Take a look at the USB port (found under the HDMI port) on the back of the Apple TV to see what I mean. String this cable between your Apple TV and your Mac. The Apple TV’s status light will blink and iTunes should launch automatically. If it doesn’t, fire it up. By default iTunes displays an Apple TV entry in the main window, which contains a Restore Apple TV button. Click this button and iTunes will download the latest version of the Apple TV software and install it on the device. Updated 9/24/13 to reflect that Apple reissued a better-working copy of the 6.0 updater.